I think we can all agree that 2018 was a great year for football shirts. So choosing a list of the Top 100 shirts wasn’t easy… it was very enjoyable… but not easy. Many an hour was spent researching leagues I didn’t know about and teams I’d never heard of. The task became even more difficult when a team of us had to agree on the Top 100. There were tantrums and tears as team members saw their favourites get voted out but in the end, we were very happy with our top 100 (ok… the tantrums and tears may be a slight exaggeration, but we are definitely happy with the final list). Having said that, there are still some shirts that didn’t make the final cut which I’m surprised about as in my opinion, they were beautiful. So here I present my top 5 shirts of 2018 that didn’t make our final top 100. How this shirt didn’t make the top 100 of 2018 is beyond me. It’s an absolute stunner! I mean, look at that lion… those piercing eyes are fantastic! They seem to follow you around, looking at you like everything you do is wrong, as if to say that you will be crushed. Try it… no matter what angle you see the shirt from that lion is looking at you. The Czech FA say that the lion itself is supposed to motivate the players in their forthcoming battles, as it is represents a fighting spirit. Whether it does just that, is up for debate. 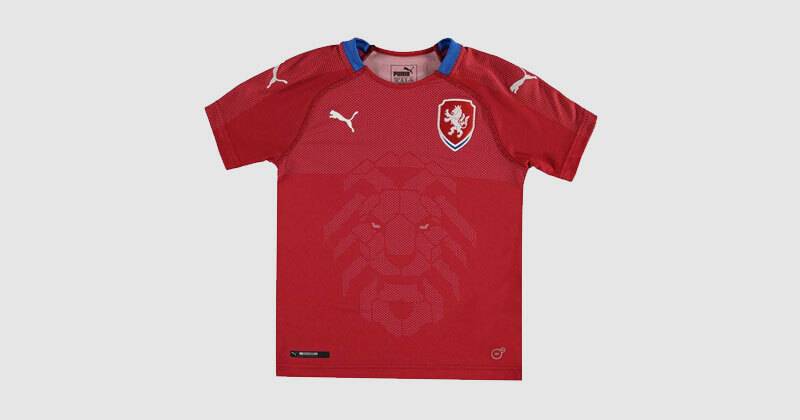 There are several nods to the 100th anniversary of Czechoslovakia on the sleeve cuffs and on the inside of the hem at the bottom of the shirt but to be honest, this shirt is all about that lion. Superb! There were plenty of Nike shirts in our top 100 list of 2018 (27 if we’re going to be precise) and it’s hard to argue against them being there as they are all pretty special. There were some great examples of creativity, colour combinations and nods to club and city histories and their fans. 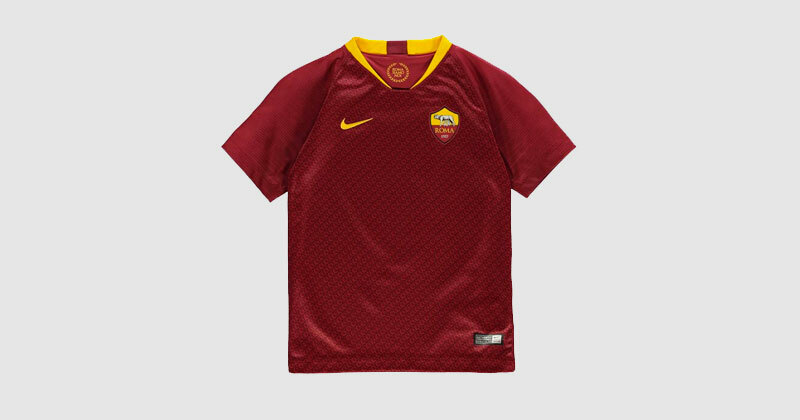 With this in mind, I’m surprised that this Roma home shirt did not appear anywhere in the top 100. The shirt is stunning and seems to have a little bit of everything mentioned previously. The classic Roma colours are as vibrant as ever and the sponsor is fresh and uncluttered. However, it’s the body of the shirt that steals the show, with a distinctive chainmail pattern making it look like a suit of armour. These links symbolise the bond between the club, the city and their fans. Last year was the third ever ConIFA World Football Cup, an international tournament for those that are not affiliated to FIFA. 16 teams participated and Cascadia finished 6th. Not bad for a team participating in their first ever tournament. 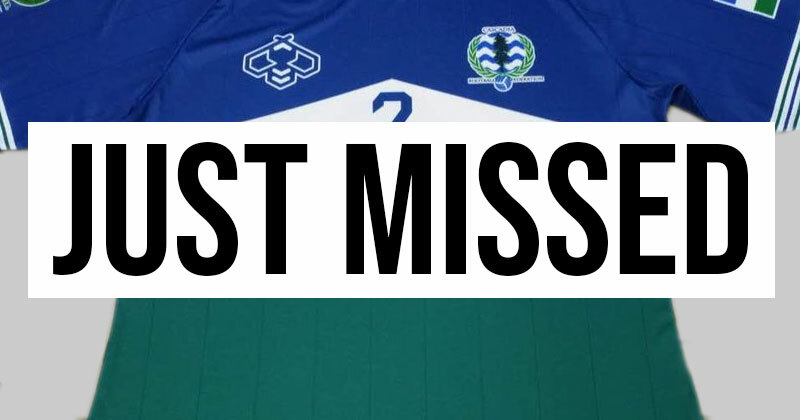 In fact, it’s amazing achievement… considering that Cascadia’s first ever football match was the opening group game at last year’s ConIFA World Football Cup! And to top it off, they were playing in one of my favourite shirts of 2018. The shirt is manufactured by Stingz, a sportswear brand that was only founded last year. They provided some fantastic kits to several teams in the ConIFA World Cup, but this, for me, was the best. Great use of the flag’s colours with a beautifully effective design on the front gives the shirt a lovely, sleek look. Well done to Cascadia and Stingz. MLS shirts all seem to be covered in design features that represent something, or symbolise something, or is connected to a location or history or people or a flag or… anyway, you get the picture. 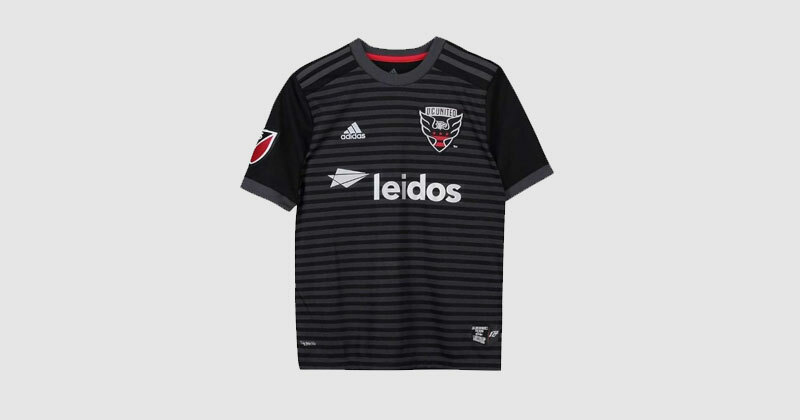 This D.C. United shirt is no different with many features connected to location of America’s government. Thankfully, all the features work together to create a beautiful shirt. The silver logos and club badge stand out beautifully against the tonal stripes on the body and the red accents dotted around the shirt add a lovely but of colour. This is a shirt that would easily be in my best shirts of 2018. I love J-League kits! Over the years we have seen some of the wackiest, most colourful and most beautiful shirts in football. So it was no surprise to see 3 J-League teams make our top 100 list, with each one being a great example of beauty mixed with crazy. Yet, this Yokohama F Marinos homes shirt, which seems so far removed from the craziness we are accustomed to in the J-League, would easily be in my top 50 shirts of 2018. This is a fantastic example of colours working well together and an uncluttered design creating a fantastically, elegant shirt. 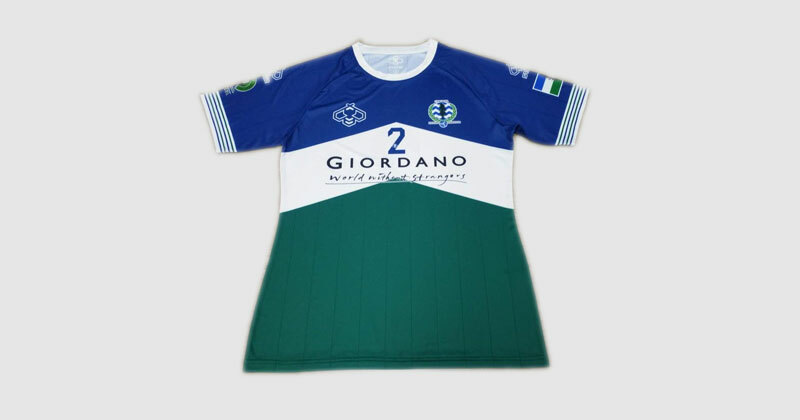 The shirt uses a pattern to give the appearance of the sea in Yokohama but whereas in previous seasons it may have been done garishly, this offering is a lot more subdued. 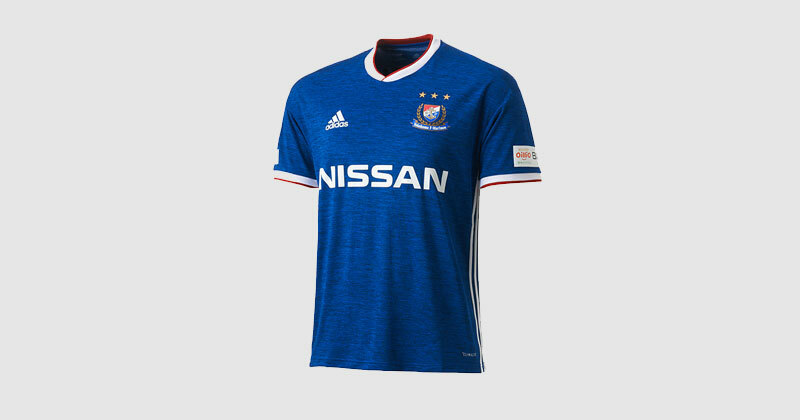 This may be why it was ignored when it came to picking the top 100 shirts… it’s just doesn’t seem like your typical J-League kit and I think it’s for this reason, that I absolutely love it. To see which shirts did make the Top 100, check out the full list here. It's a beautiful list.